The band is finally back with a double shot!! Beware of their sound, an unique mix of R&B, R&R and Garage with undertones of Power Pop! A-side Don't Forget My Name in the vein of early Kinks, even if more powerful and maybe appealing. B-side an enthusiastic version of The Box Tops Letter will become your next tune to listen to endlessly. 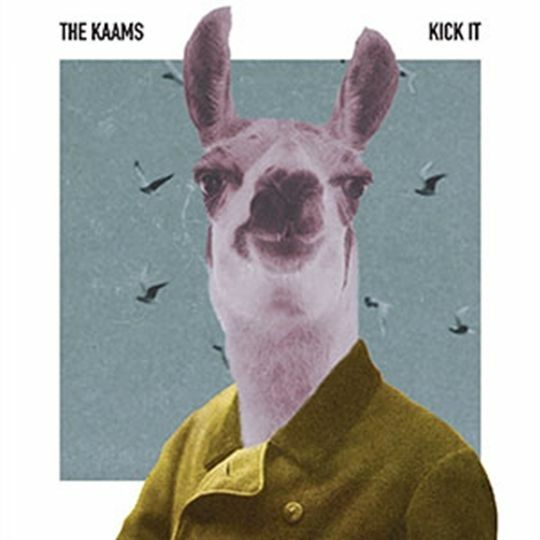 "Kick It" is the third album by The Kaams, Italian band based in Bergamo and formed in 2009.After some line-up changes the new work will be released four years after previous "One To Six", and two and a half after their 7 single "Don't Forget My Name", both on Area Pirata Records. Twelve songs recorded at Outside Inside Studio in Volpago del Montello (Tv) by Matt Bordin (who also played harmonica on one of them), and mastered by Andrea De Bernardi at Eleven Mastering Studio in Busto Arsizio (VA). 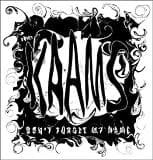 THE KAAMS since 2009. A foursome who come screaming out of Bergamo, Italy, with the perfect mix of R&B, garage,rnr, and blues nuances, all wrapped up in the kind of catchy melodies that are near impossible NOT to dance to. 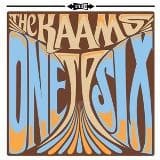 The long-awaited 12 tracks full length album for this great Italian garage band! UWAGA! 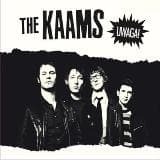 is a perfect mix of r'n'b, garage, punk, blues nuances and melodies, a time bomb ready to explode!